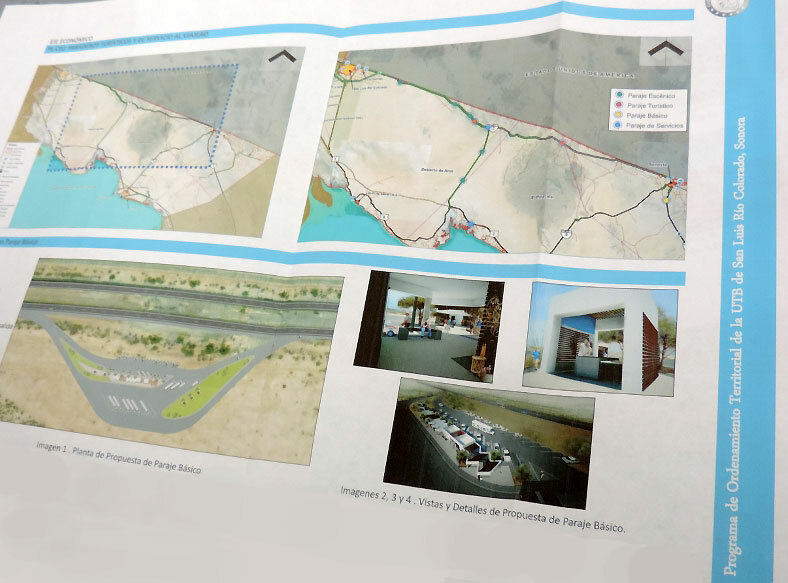 Is there a new highway planned to bisect the pristine El Pinacate and Gran Desierto de Altar Biosphere Reserve? It appears that it is at least an idea from photos acquired by Wild Sonora. 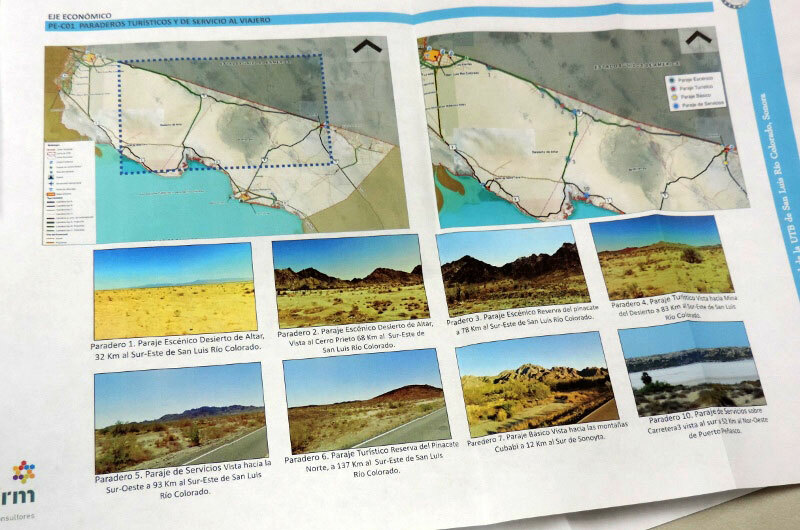 These maps seem to show a 4-lane separated highway cut-off from Route 2 through the sand dunes just west of Pinacate down to the Route 3 coastal highway. The length from maps appears to be about 50 km and cuts right down the east/west center of the reserve. This is certainly not in the interest of protecting biodiversity and untrammeled conditions of the area, a recent addition to the list of UNESCO World Heritage sites. Contact reserve managers and others if you have concerns about this idea to learn more and express concern.